As a Principal and Landscape Architect at HMH, Jackson has over 10 years of comprehensive experience in the design of residential, commercial, office, retail and urban sites. 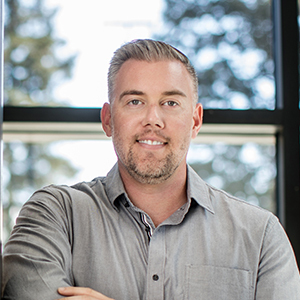 With a focus on client and site objectives and an emphasis on elegant simplicity, innovative materials and creative functionality, Jackson leads his group in programming, design, construction documentation, and construction management. Jackson’s many market-ready, commercial and office renovation projects include The Yard in San Jose, a repositioning of a building and its surrounding courtyard and campus. His San Jose residential and commercial mixed-use sites include the 5-acre 10th and Mission Japantown development and the Midtown Meridian project. Jackson has proven expertise in maximizing efficiencies for both developers and city agencies and in developing enriching, meaningful amenities for residents and tenants. Jackson gained his Bachelor in Landscape Architecture at California Polytechnic State University in San Luis Obispo.